Much spicier than it looks! 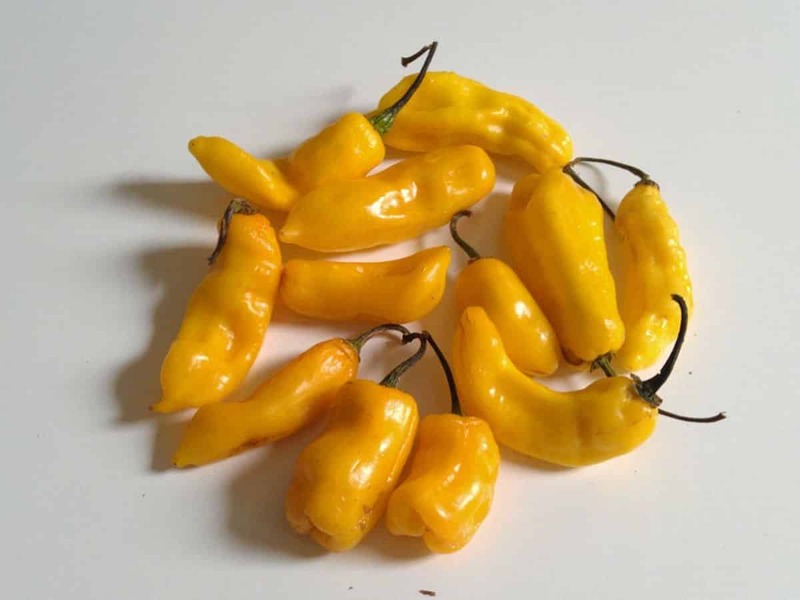 The peachy color of the goat pepper (also known as the Bahamian goat pepper), may lead you to think that it’s a milder offering on the Scoville scale. It’s not. Like its cousins the habanero and the Scotch bonnet, the goat pepper kicks hard, but with a sweetness to its flesh that works well with tropical hot sauces and meals. It’s very popular in its native Bahamas, but a lot trickier to find outside of the Caribbean. How hot is the goat pepper? The Bahamian goat is a little bit of a Scoville unit mystery. Some claim its range is the same as its habanero and Scotch bonnet relatives (100,000 to 350,000 Scoville heat units). Others say that its bottom range never goes so low, stopping at 250,000 SHU. Still others pronounce scorching hot heat from this peach of a chili – kickin’ it at near 600,000 SHU, a smilar heat to a Red Savina or chocolate habanero. Regardless, it’s safe to say the goat pepper is hot. At least as hot as the habanero, with the potential for much more. Comparing it to our jalapeño reference point – it’s 12 to 140 times hotter, depending on the luck of the draw due to the variances in heat between both peppers. What do Bahamian goat peppers taste like? Look like? Typically the goat pepper is two to three inches in length, slightly squashed like the Scotch bonnet, and peach in color. They sometimes have a small scorpion tail, like the super-hot Trinidad Moruga Scorpion, but often its simply bulbous at the bottom. Due to the color and roundness, some people see a miniature pumpkin shape when they look at the Bahamian goat. And that’s not surprising since, depending on the crop and the light, the goat can appear yellow or even orange to the eye. Inside the chili, the flesh and membrane is a surprise. The flesh has a snowy sheen to it that’s played up even more by the white membrane. It looks almost frosting like, just tempting you to dive right in. And that’s a good thing, as the taste of these chilies is loved by most anyone that comes across them. 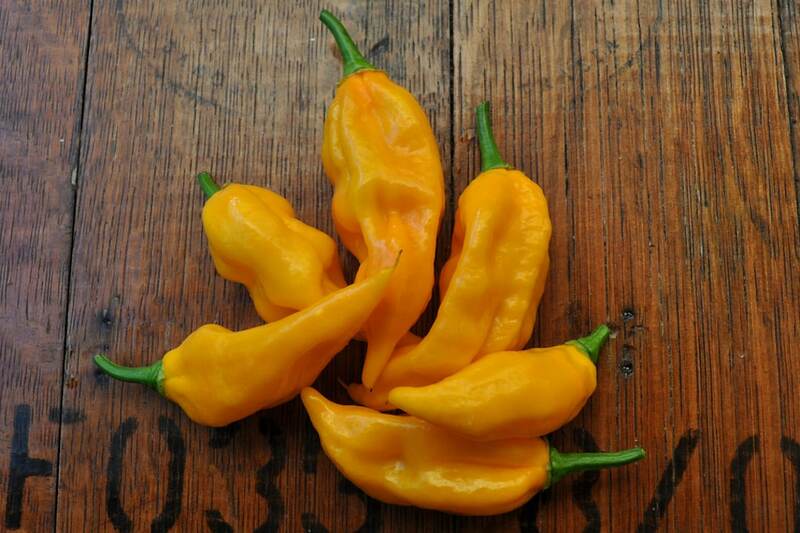 They are as sweet (and sometimes sweeter) than the Scotch bonnet – a very tropical taste. This is a hard one to decipher as there’s a lot of guesses and legend around where the name “goat” pepper came from. Some say it’s due to the spicy kick the pepper has – it kicks as hard as a goat. Others say it’s due to the smell these chilies have when cut open – claiming it has the odor of a goat. Still others say it’s due to the fact that goat peppers typically grow in the Bahamas around areas where goats forage. It could one…or all. Or something else entirely. How are goat peppers typically used? Where can you buy goat pepper? These aren’t easy chilies to pick up. In the Bahamas, of course, you’ll find them readily available, but in the United States, seek out Caribbean specialty stores. That’s your best brick and mortar bet. You can find Bahamian goat pepper seeds online, if you’re interested in taking a shot at growing these chilies. 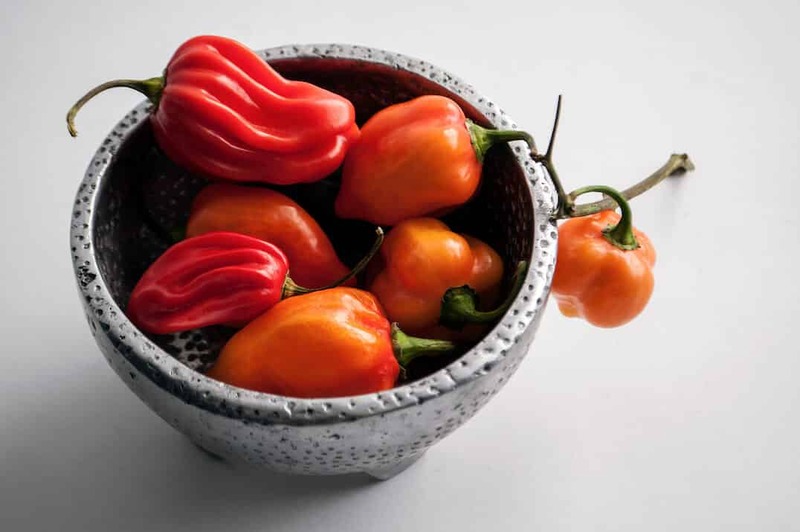 Otherwise, opt for the Scotch bonnet or even the more popular habanero pepper. 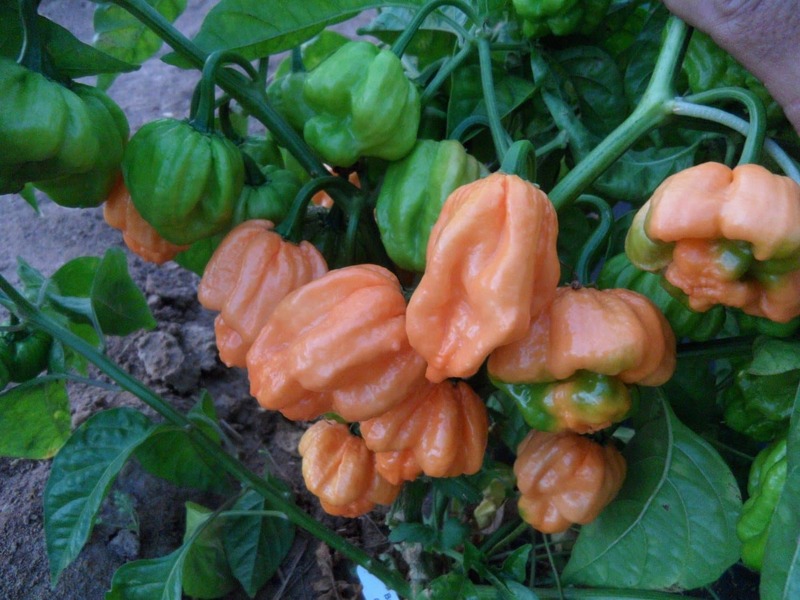 Both are available in more places, and the Scotch bonnet, especially, delivers a comparable sweetness and heat. If you’re in the Bahamas and you stumble upon these chilies, it’s a must to give them a shot if you are at all into spicy food. The Bahamian goat pepper may not be as famous as its closest relatives, but it has a dedicated following all its own due to its surprising looks and delicious sweetness. Enjoy them when you can.